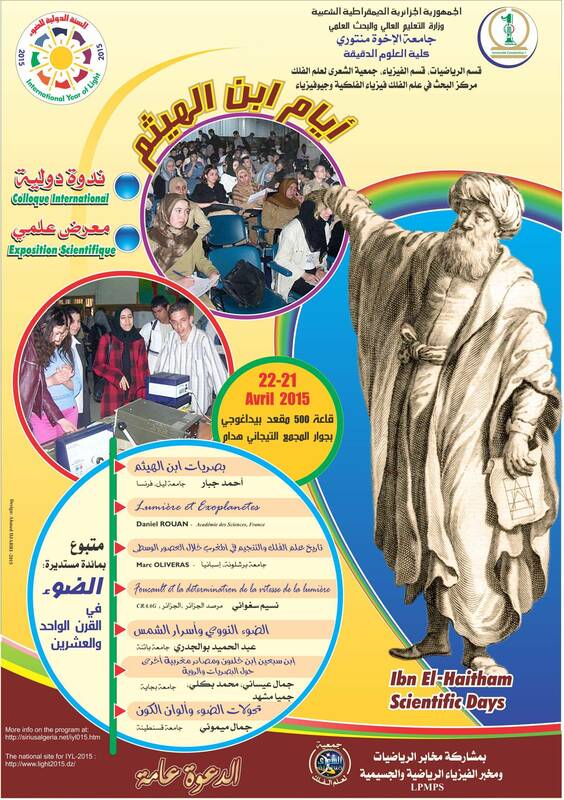 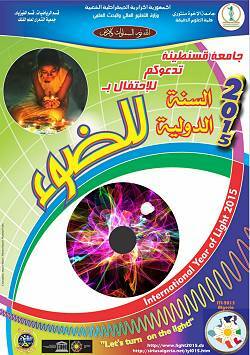 Ibn Hammad, Ibn Sab`in, Ibn Khaldun and other Maghreban sources on optics and light. 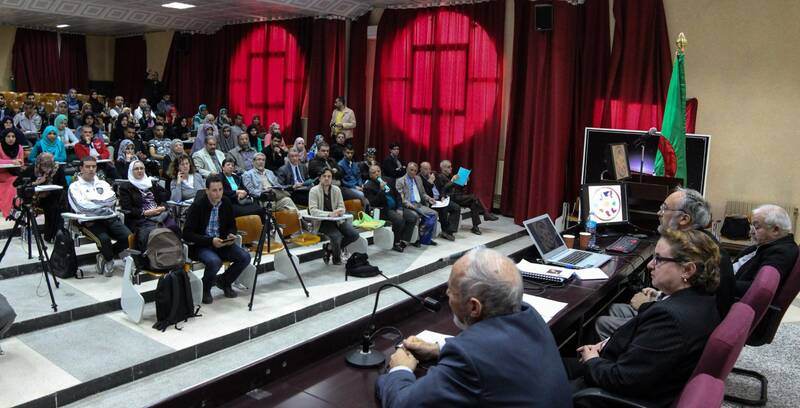 Mahdi RAHMANI CDTA, Université de Sétif "The many uses of light: from substance identification to 3D printing"
International Colloquium "Shedding Light on Light"
and the Exhibit "Monts et Merveilles de la Lumière"
- The Year of Light Conference, USTO-MB Univ. 15-16 April 2015.